The latency, jitter and packet loss that is associated with the WAN often cause the performance of applications to degrade. The WAN can be a major source of security vulnerabilities. Unlike most of the components of IT, the price/performance of WAN services doesn’t obey Moore’s Law. The outage of a WAN link often causes one or more sites to be offline. 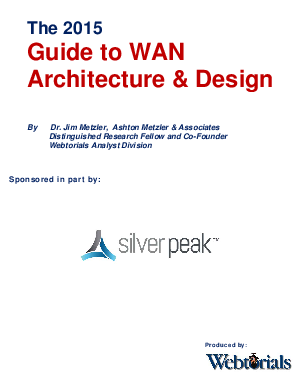 The lead time to either install a new WAN link or to increase the capacity of an existing WAN link can be quite lengthy.